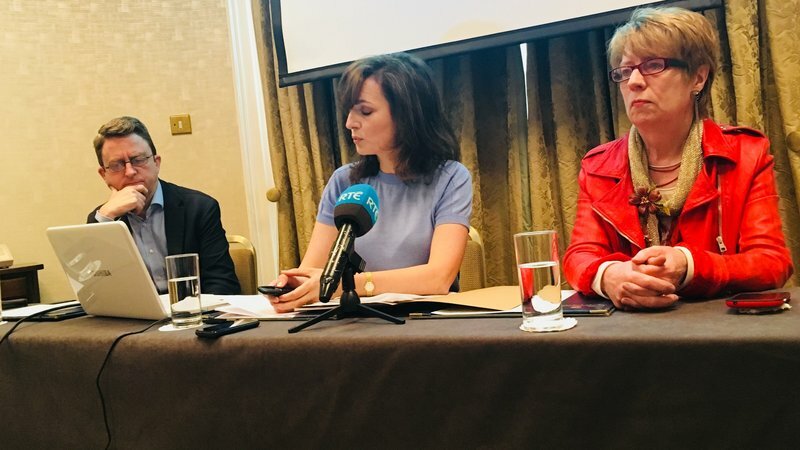 May 2, 2018 – The Government’s planned abortion law is not restrictive when compared to other, comparable jurisdictions, The Iona Institute has said at a press briefing today. On the contrary, very few abortions will, in practice, be refused under it. Ahead of the event, lawyer Maria Steen pointed out that the planned provision to allow abortion in the first 12 weeks of pregnancy for any reason is common around Europe where a very high number of pregnancies end in abortion. Maria said: “Countries like France and Italy, Denmark and Norway all permit abortion on request in the first 12 weeks, and in those countries there is one abortion for every three or four births. No-one can pretend the regime in those countries is restrictive.” (See Note 2 below). She continued: “In addition, those countries permit abortion after 12 weeks on apparent ‘health’ grounds just as the Government here is proposing. Again, no-one seriously believes that countries such as France and Denmark have ‘restrictive’ abortion laws”. Turning her attention to Britain, she said: “At no point in its law does Britain permit on request, or at least not in theory. At every point two doctors must first approve the abortion. But as we know, in practice, the British regime is one of abortion-on-demand. Everyone knows the two-doctor rule is a fig-leaf. But on paper, the British law is more restrictive than that of other European countries. She concluded: “So we can see that even if the Government was planning the 12 week rule only, that alone would be tantamount to abortion-on-demand because almost every abortion has happened by this point. (The briefing took place in Buswells hotel at 11am). In 2016, 3,265 Irish women are recorded as having travelled to Britain for an abortion. If we add to this an estimate for the number of abortion polls use (an estimate given by pro-choice campaigners), the total becomes 5,000. In 2016 there were 63,897 births in Ireland meaning there was one abortion for every 13 births. This is far lower than the European average).